Brownsville Mayor William D. Rawls, Jr, preps the launch of a new Workforce Development Initiative on Thursday, September 24th. The project will address the city’s coordination with Governor Bill Haslam’s Tennessee Reconnect and the Drive to 55 programs. A reception to highlight the initiative will be held at the Haywood Criminal Justice Complex from 5:30 p.m. to 7 p.m.
Mayor Rawls wants to build on the Tennessee Reconnect and Drive to 55 programs. 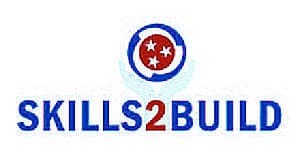 This soft skill project, called Skills2Build, will provide, in partnership with the Tennessee College of Applied Technology (TCAT) in Brownsville, application and interview training, among other things, to those who are either entering or reenter the workforce. In Spring 2015, Governor Haslam started the Tennessee Reconnect grant program to help adults enter higher education so that they may gain new skills, advance in the workplace, and fulfill lifelong dreams of completing a degree or credential. These programs are designed to help adults attain a college degree or certificate. The City of Brownsville looks to take advantage of and expand on this opportunity to help our local workforce. Others have joined in support, including TVA and HTL Advantage. Join us on Thursday, September 24, 2015 for the launch of this important initiative. Founded in 1823, the City of Brownsville is located in the heart of West Tennessee. With a diverse population of more than 10,000 residents, agriculture and education have been the backbone of the community for almost 200 years. To find more about what is happening in Brownsville, please go to www.brownsvilletn.gov.